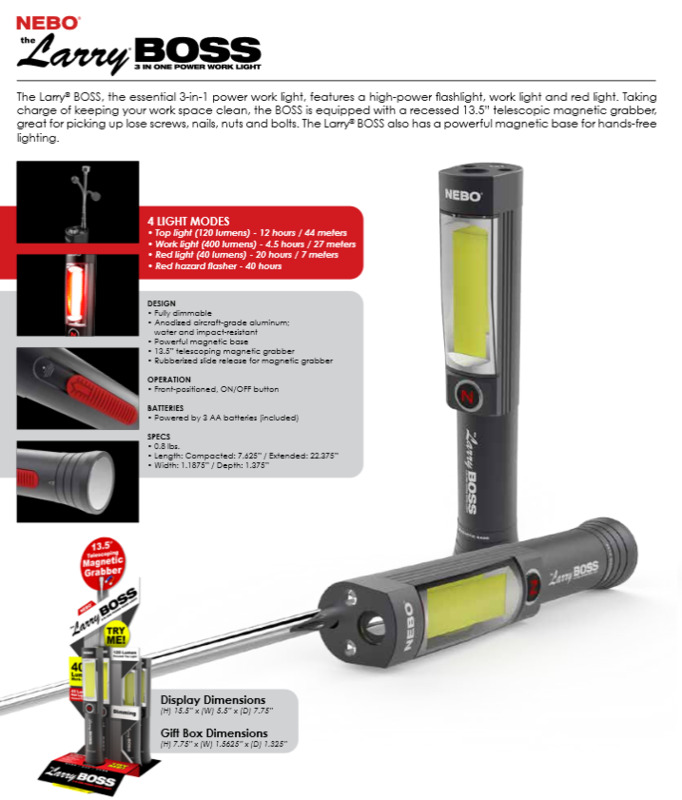 The Larry® BOSS, the essential 3-in-1 power work light, features a high-power flashlight, work light and red light. Taking charge of keeping your work space clean, the BOSS is equipped with a recessed 13.5” telescopic magnetic grabber, great for picking up lose screws, nails, nuts and bolts. The Larry® BOSS also has a powerful magnetic base for hands-free lighting.